ON THE WAY SINCE 1974; 40 YEARS OF EXPERIENCE ON WHEELS WE ARE ASSESSED. The road began on December 11, 1974. Pedro Pou Fiol, acquired license nº 30 of Taxi in the municipality of Manacor (Mallorca), giving rise to Autocares P.Pou That day, began the construction of a long and notorious road in The transport services sector of people in Mallorca. In 2004 Joan Pou the son was incorporated, evolving the company with his particular vision until what we know today by Autocares Pou. OUR PHILOSOPHY; (+ X -) ECONOMIC, NEAR AND DIFFERENT TRUE. We are not a classic and common coach company, we define ourselves as something more, a different option. We drive for you allowing a simple bus ride, to become a whole experience on wheels, personalized and at an economical price. Are you looking for a cheap and personalized coach service in Mallorca? OUR MISSION: THAT YOUR TRAJECT IS A CUSTOMIZED EXPERIENCE. Only in Autocares Pou, if you want, we allow you to personalize even the smallest detail of how you want your service to be. We put at your disposal without any added cost everything necessary to convert, a simple a priori and monotonous bus ride from point A to point B, in a whole experience on wheels. Choose your taste; The environment, music, volume, lighting, etc. BE THE BUS "DJ" ; YOU PUT THE RHYTHM OF THE WAY. Driver, give the play. The driver will be at your disposal. Ask us what music you want or give us your own. Customize so, the rhythm that sounds on the way to your event, excursion, wedding, etc. For all this, we put at your disposal expressly equipped coaches with quality sound systems and decorative ambient lighting of your choice to improve the service experience. We have made the leap to the peninsula, now you can hire us to travel throughout Spain. Being on an island does not mean we have borders, so we hope you live the experience. We launched Zankyou to help today's couples easily organize the wedding they really want. 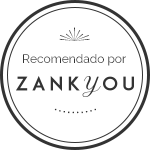 Zankyou was born in 2007 and is today the most international wedding website with presence in 23 countries. Give us the if I want! We want to be part of such an important day. If you want to make your wedding day all perfect, do not hesitate to consider them. Since 1974 offering the best of us. Visit our profile and judge for yourself. We have vehicles that fit all your needs, from 16 seats minibuses to 76 seats, known as a double decker bus. Suitable for day trips, trips and school trips, family celebrations, etc. We are very sociable, that's why everything we can think of as excursions, discounts, contests ...; All this will be placed on our Facebook page, which I invite you to follow this way, you will not be the last to know about everything we do. © Autocares Pou 2018. Developed with by Winxester Design.